The ESP LTD B-205SM-FL 5-String Bass Guitar is affordable and delivers high performance. 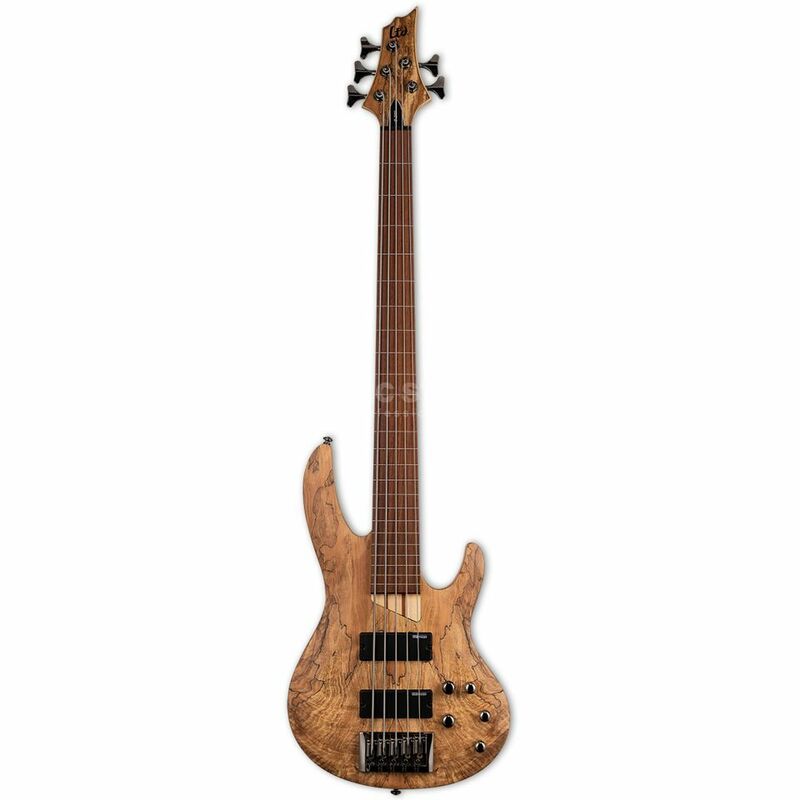 The LTD B-205SM-FL has an exotic Spalted Maple top for a punchy and bright sound, great for slap bass. The LTD B-205SM-FL from ESP is fretless and features an Ash body to compliment the Spalted Maple. Also ESP SB-5 pickups and a 3-band active EQ. I ordered this Bass as I wanted a more modern fretless than my Jazz and decided on a 5. I was first impressed by the exotic finish of these Basses but skeptical on quality at this price. I needn't have worried. I honestly do not know how ESP maintain this kind of fantastic quality/price. Out of the box the maple cap looks great if you like a natural wood finish. I could not find a single cosmetic flaw. The Bass is slightly neck-heavy due to the light weight body but it sits well on a strap. The hardware seems solid enough and looks cool. My Bass was well set-up but other reviews say the contrary. The strings are D'addario Rounds as listed so you may want to change these out for flats if you wish to avoid scratches on the roasted Jatoba fingerboard (they used to be Rosewood). The active threeband eq plus passive pan pot give a lot of tone scope. The only negative point to my ears is that I would like a touch more sustain but all in all consider these Basses before going for a Rockbass.